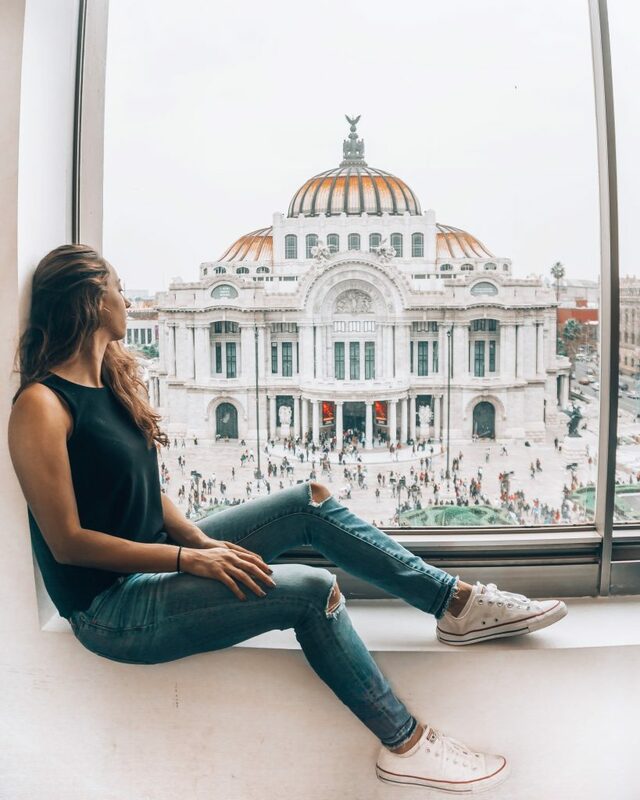 Mexico has been a tourist hot spot for years but yet Mexico City has never quite gotten the tourism attention it definitely deserves. 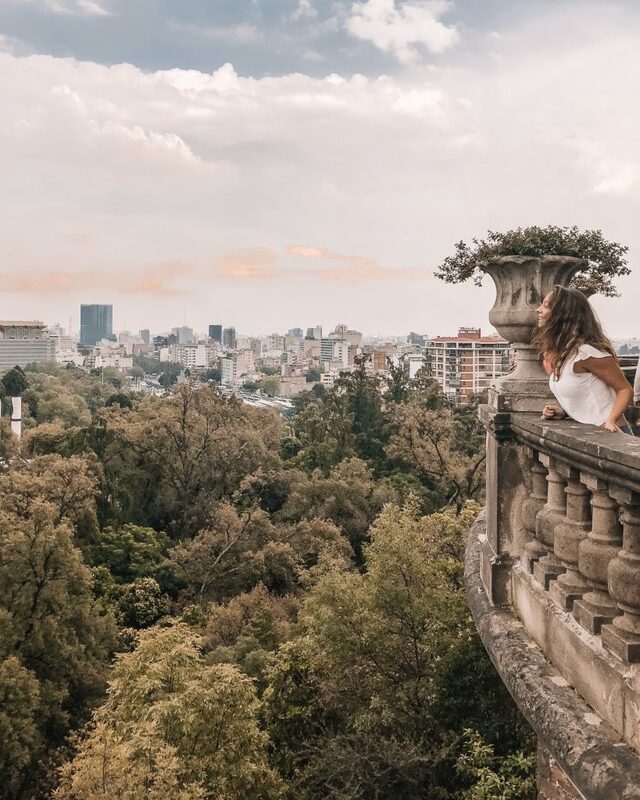 Honestly, let’s keep it as our favorite secret destination as I share with you the best three days in Mexico City Guide! The best part about it? It’s super easy and super cheap to get to from the US! 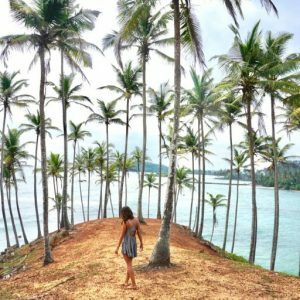 You can easily find flights from NYC for $200! 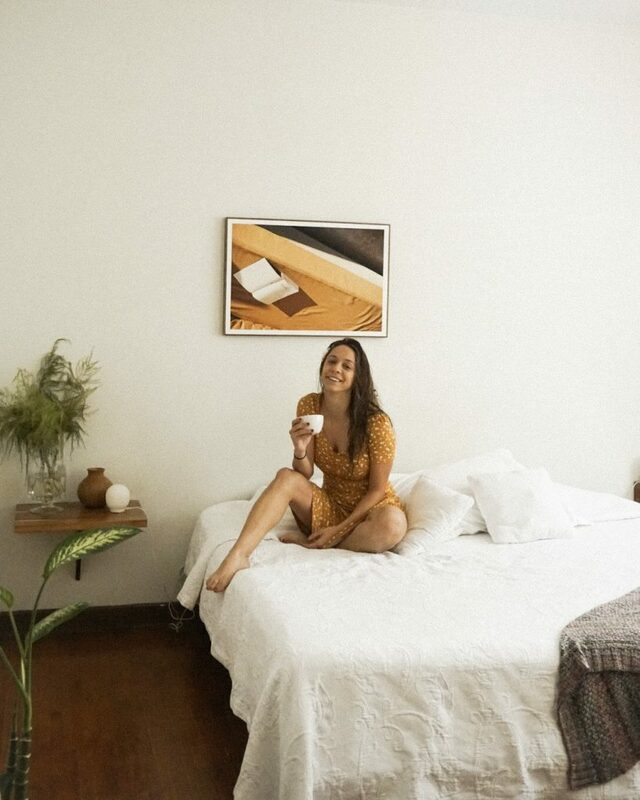 I recommend staying in either Roma Norte or Condesa. There are plenty of accommodation options in both and I felt super safe walking around, even at night. 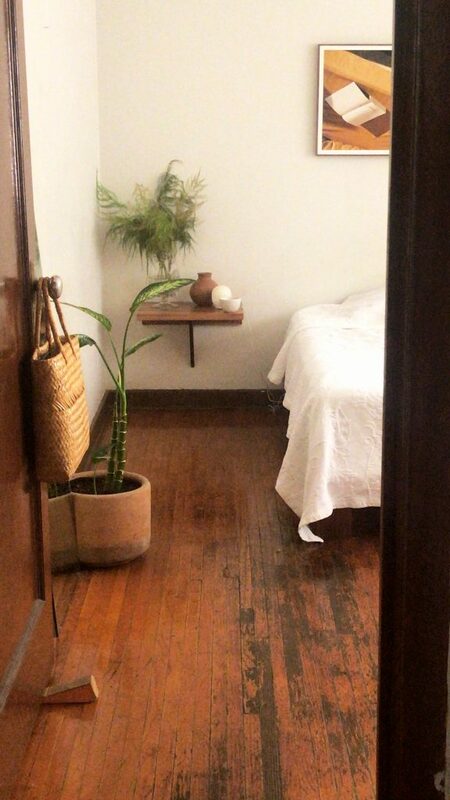 We spent two nights staying at the absolute cutest Airbnb and I couldn’t recommend it more! It is centrally located, affordable, and the definition of #apartmentgoals. 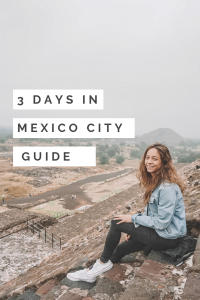 3 days in Mexico City? This is your spot! Check out the AirBnB here! Honestly, we Ubered everywhere! 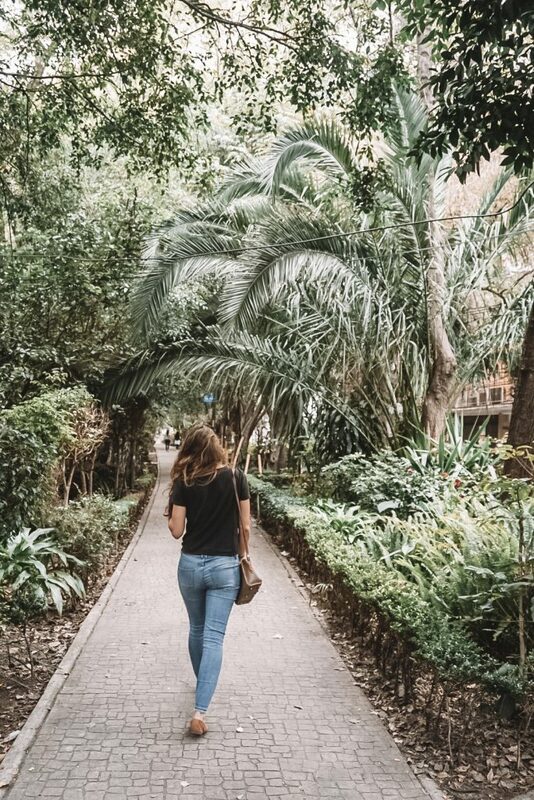 I’m usually all about public transportation but since we only had 3 days in Mexico City we wanted to make the most of it. Not to mention Ubers are incredibly cheap. Our average ride was between $2-3 USD, with the most expensive ride being the 30 mins to the airport for $7 USD. 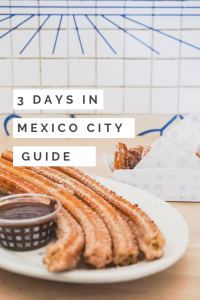 I have included a few of my favorite spots in this guide but you can also check out my full guide on the Best Places to Eat in Mexico City here! Also, definitely don’t be afraid to eat ALL the street tacos and quesadillas! 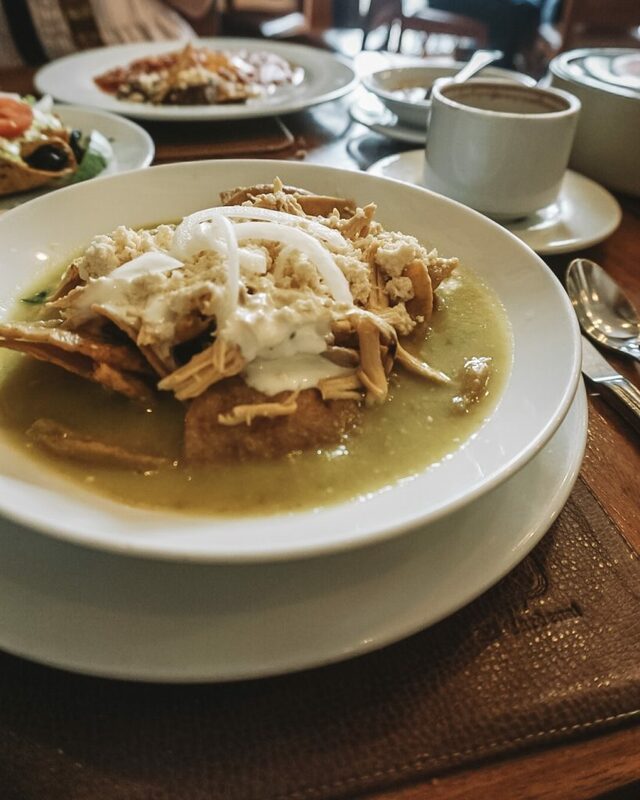 Start your day with breakfast at Fonda Margarita! Try to arrive early because there is usually a bit of a wait, but trust me it’s worth it! 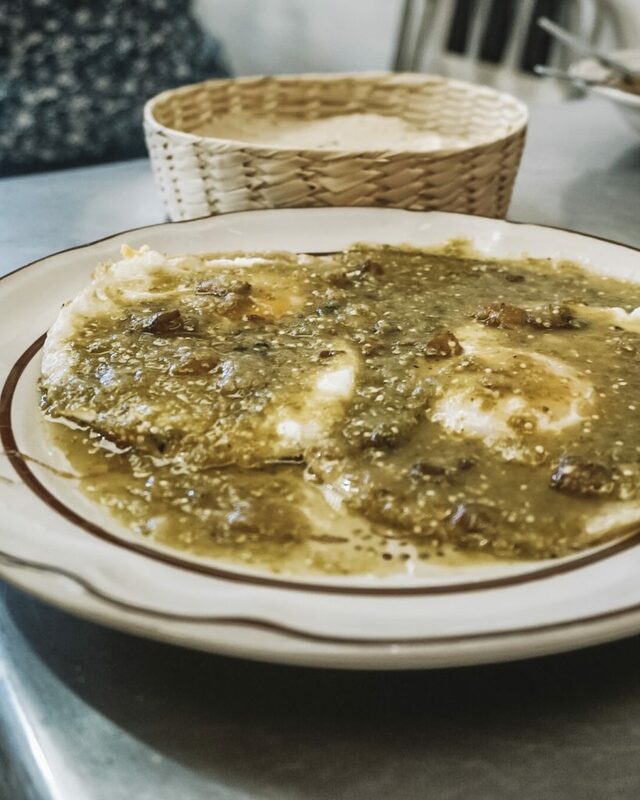 We ordered to eggs and beans and huevos rancheros with salsa verde and it was incredible! 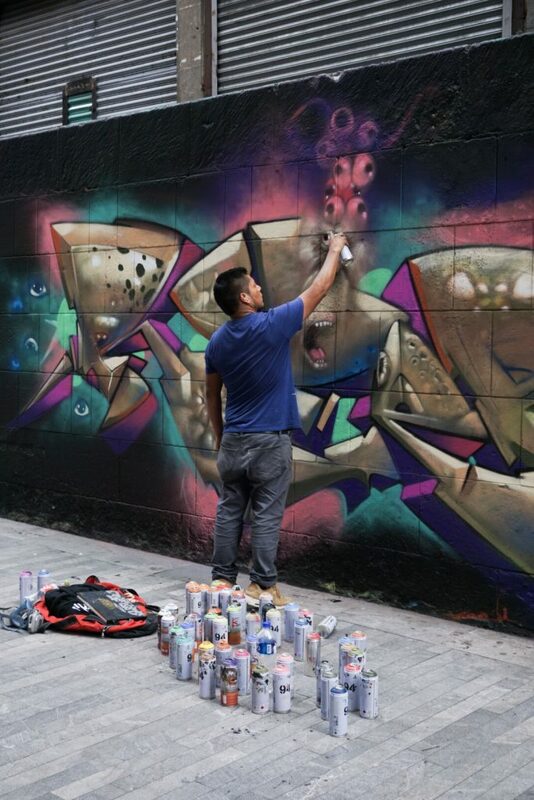 An absolute must for 3 days in Mexico City! 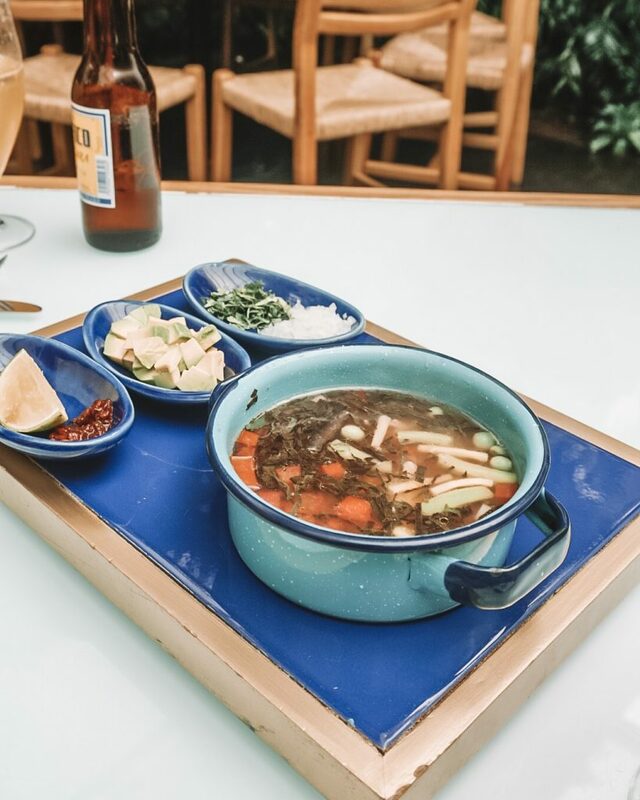 After breakfast hop in an Uber over to the Frida Kahlo Museum. I recommend purchasing tickets ahead of time for a shorter wait time! A typical visit takes at least an 1 hour, especially if you’re using an audio guide. 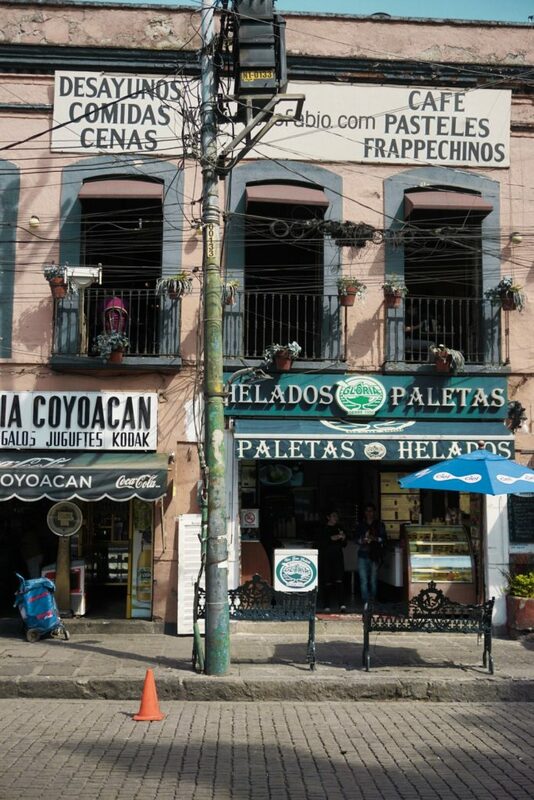 Make your way to from the museum over to the Mercado de Coyocan. 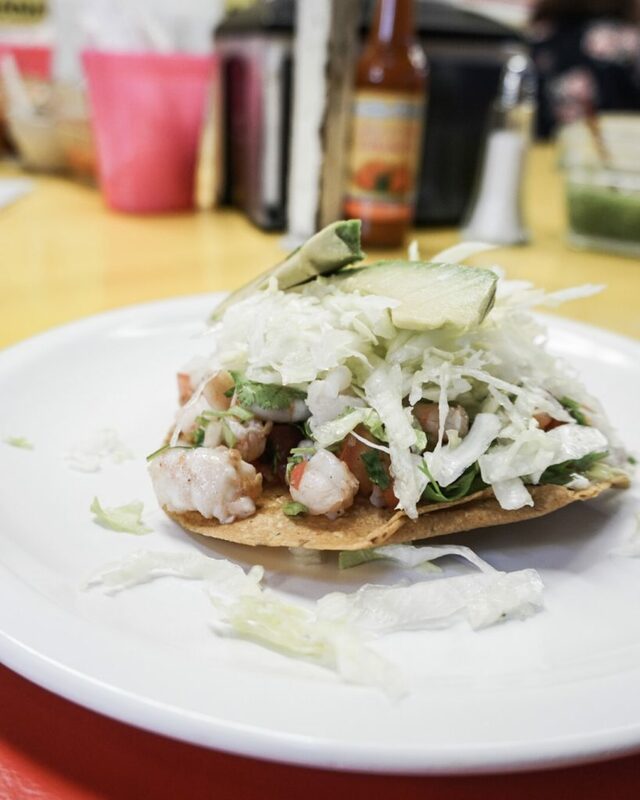 Here you’ll find a number of food options including Tostadas Coyocan and Mercado de comida de Coyoacan a bit further down the road. 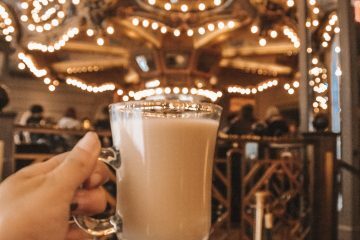 After some eating and shopping you can head over the the park for a taste of the local lifestyle! 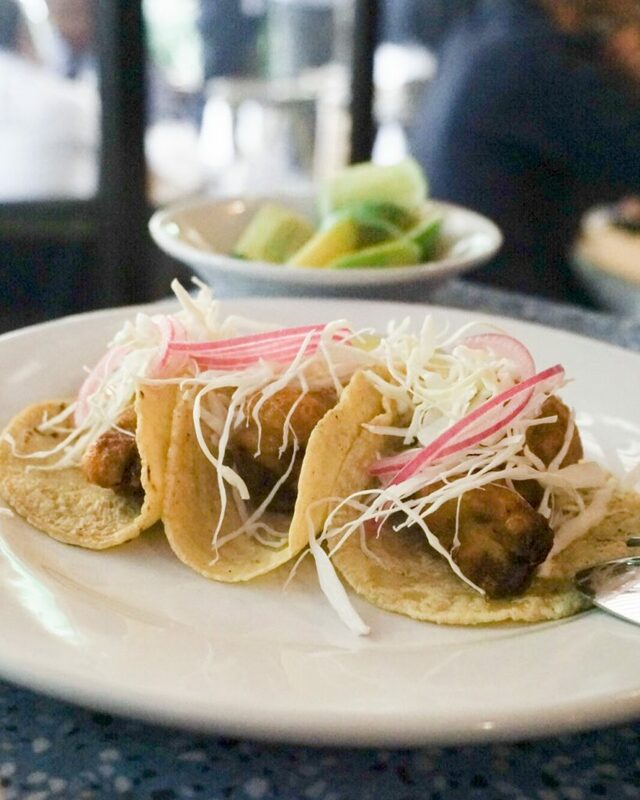 When you’ve had your fill of the Coyocan area, hop in a cab back up north to Roma Norte. 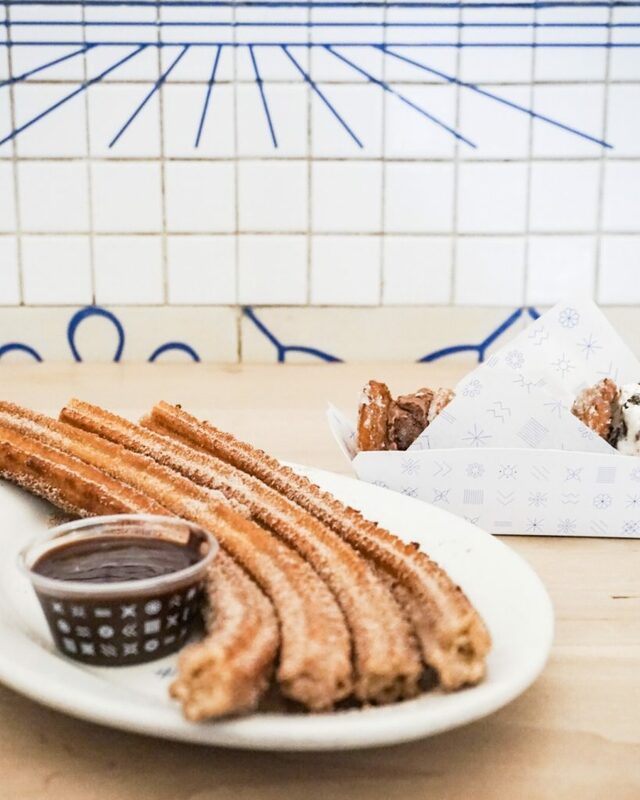 Here you will find endless adorable cafes, shops, and of course, churros! 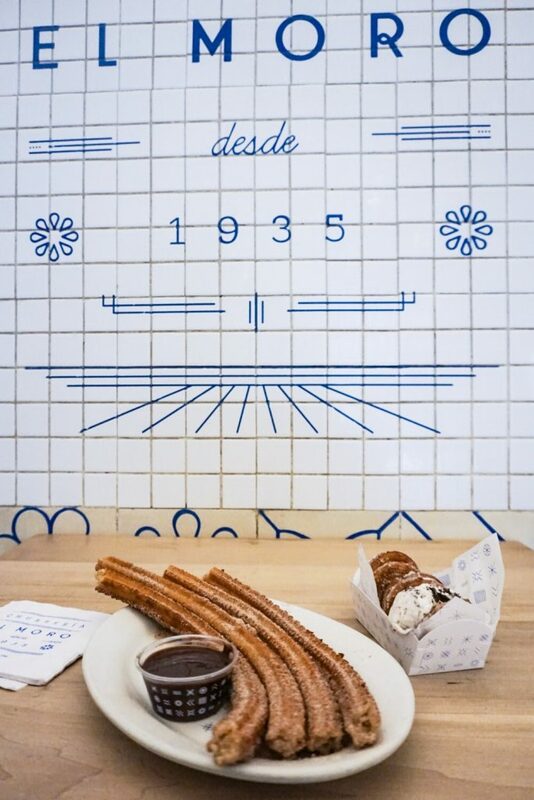 Churreria el Moro has the BEST churros ever and their shops can be found all over the city. In Roma Norte they even have one right inside the Mercado Roma. 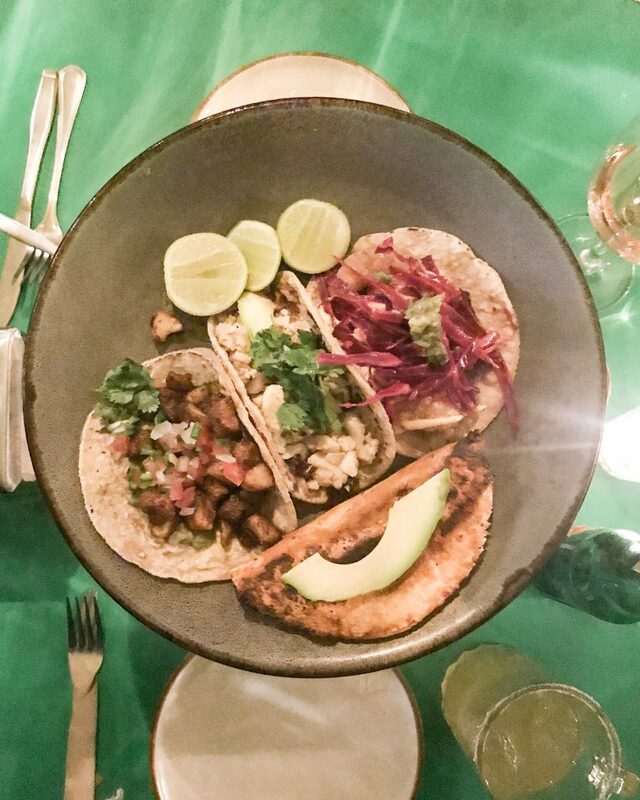 Contramar is easily one of the best places that we ate during our three days in Mexico City! 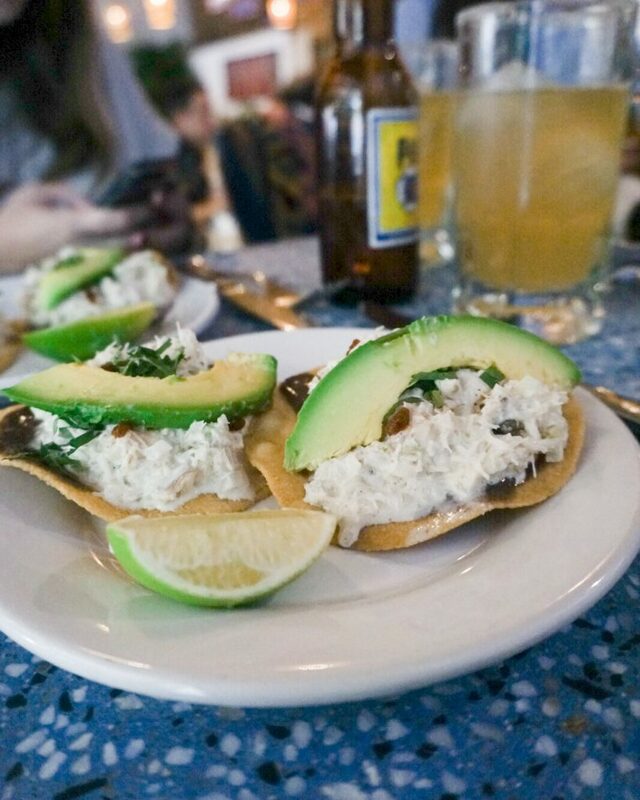 Make sure to order the crab tostadas and DEFINITELY make a reservation ahead of time. Fancy a drink afterwards? Gin Gin next door has got you covered with classy cocktails in a sleek lounge! Today you’ll be hitting a number of museums so make sure to fuel up with a delicious breakfast first! 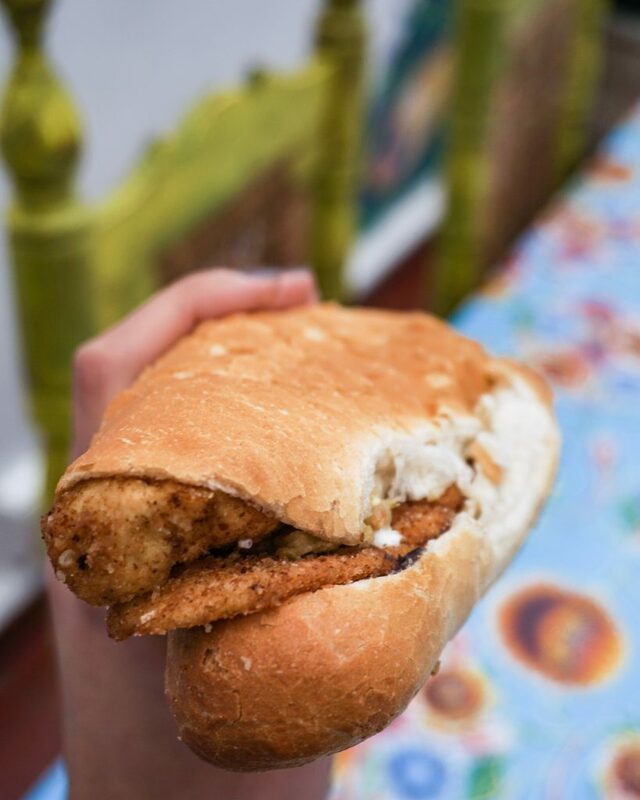 I recommend La Guera Tortas de Chilaquiles stand if you’re looking to be blown away with one of the best chicken breakfast sandwiches of your life! I honestly could have eaten from this stand all three days in Mexico City, but I forced myself to try other things too of course. Make sure to bring cash and arrive early. 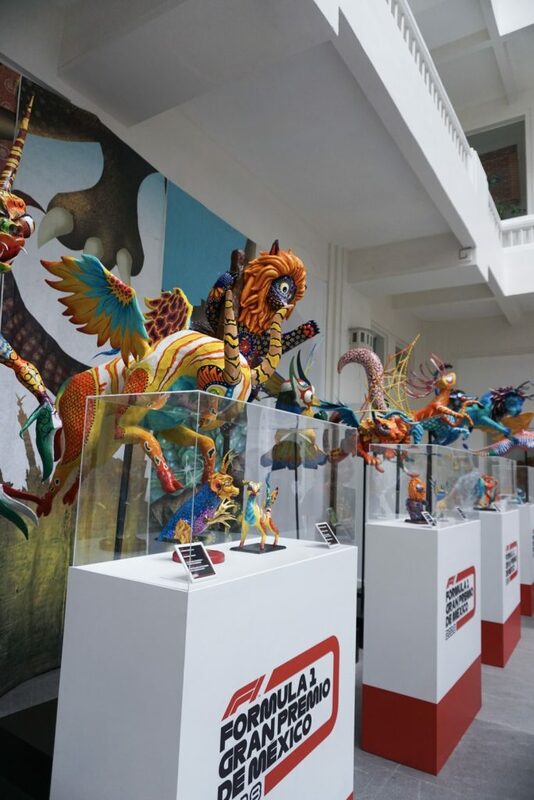 Next stop on day two of three days in Mexico City, The Modern Art Museum. A small collection with amazing pieces, definitely worth checking out! Plus side, students get in free with a valid ID! 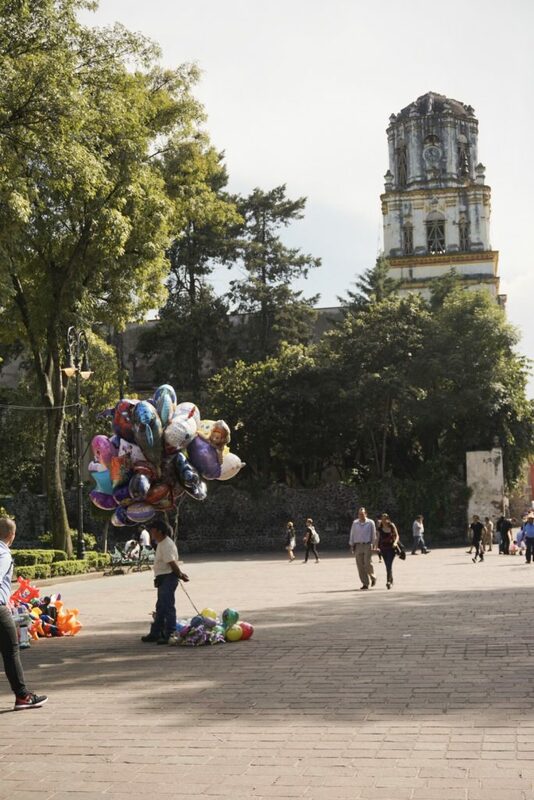 From here it’s time to visit Chapultepec Castle! It’s a bit of a walk up, but nothing too strenuous! 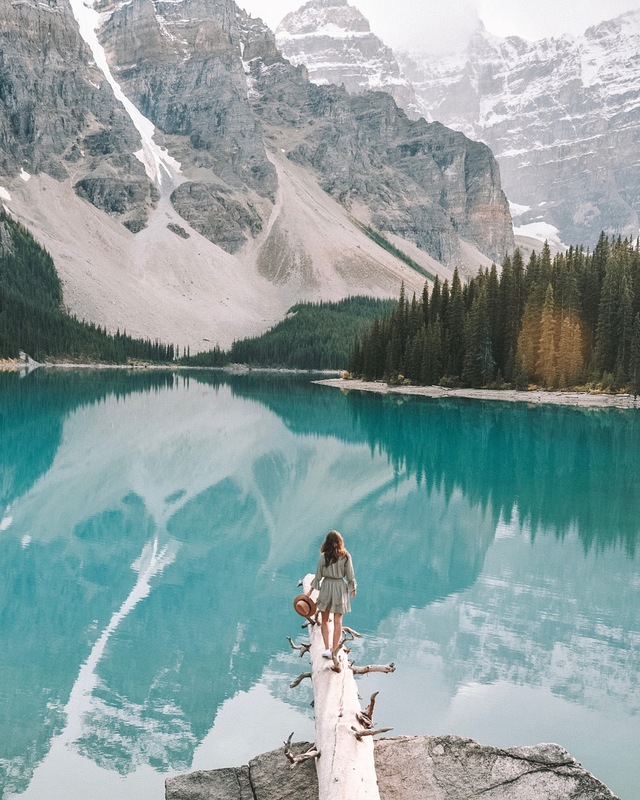 The views from the top are absolutely worth it! 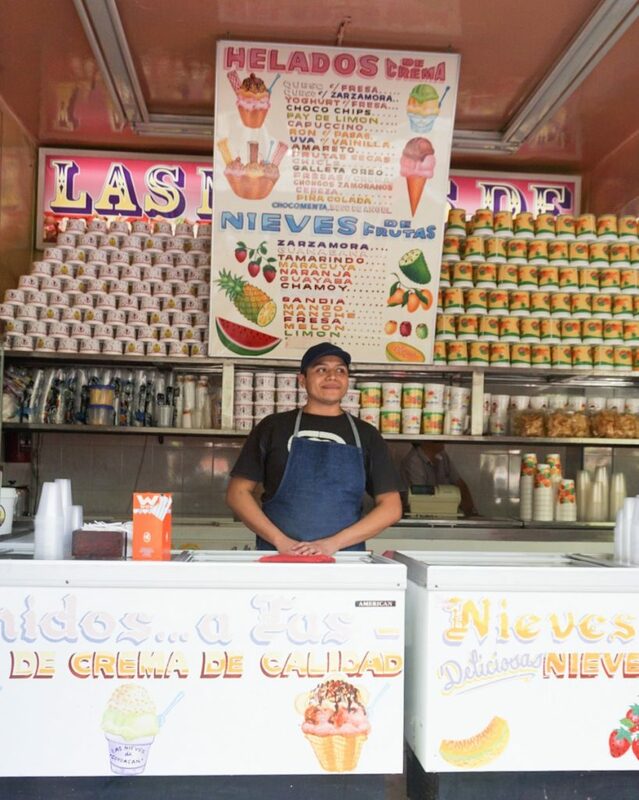 There are plenty of food stall options in the park for you to grab a bite to eat before heading to the next museum: Museo Nacional de Antropologia. Unfortunately we ran out of time before making it here but if you have the time it is supposed to be incredible! At this point you’ll be close to the Polanco area. A good place to do some shopping, although not my favorite neighborhood as it felt way too much like New York or Miami. 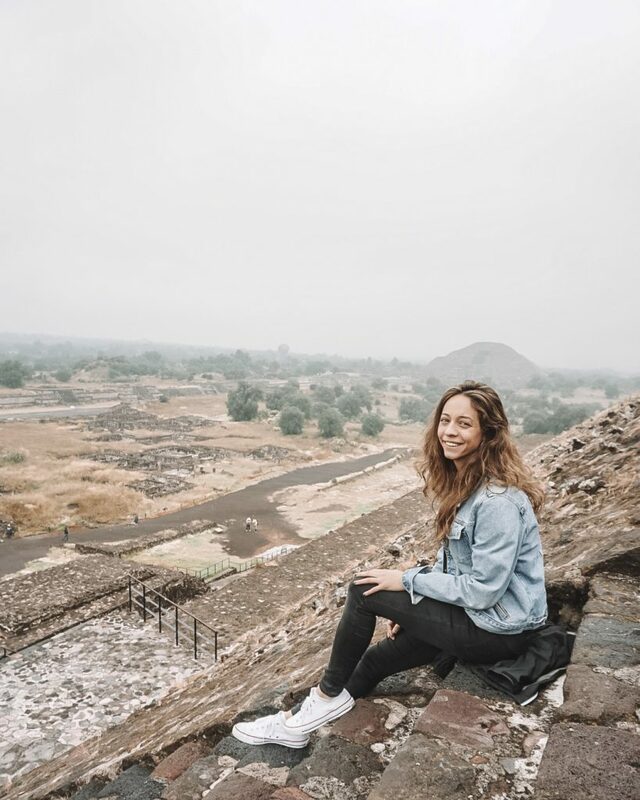 Get an early start to the day and head out to Teotihuacan Pyramids. If you are limited to only 3 days then I recommend taking an Uber as it will save you a ton of time! We spent $50 roundtrip for the 1-1.5 hour ride each way plus 2 hours of waiting time. The pyramids open at 9am so I would aim to arrive right at opening. Have the driver drop you off at Gate 5 so that you are only a short walk from the famous Pyramid of the Sun. 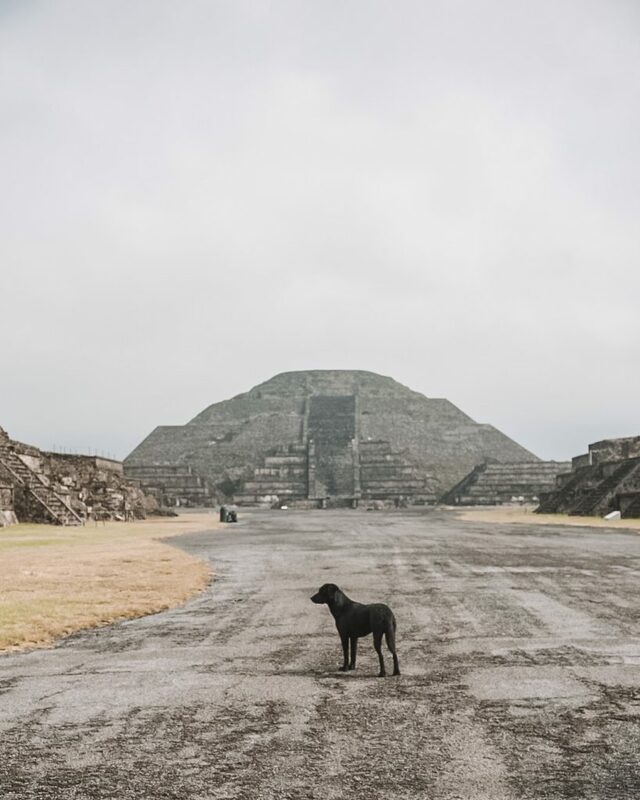 If you have more time in Mexico City then the Pyramids can be easily reached by public transportation. 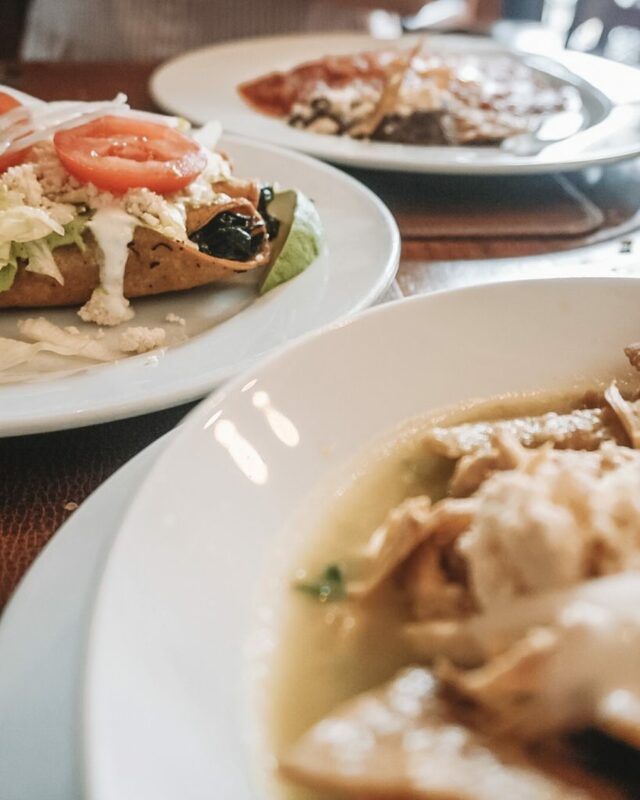 Have the driver drop you off at El Cardenal in the historic center for a classic brunch! Make sure to go in and put your name on the list right away.. newbie over here didn’t realize that was a thing until I waited over 20 mins, oops! Now that you’re in the historic center you’ll want to cover a few of the key museums. 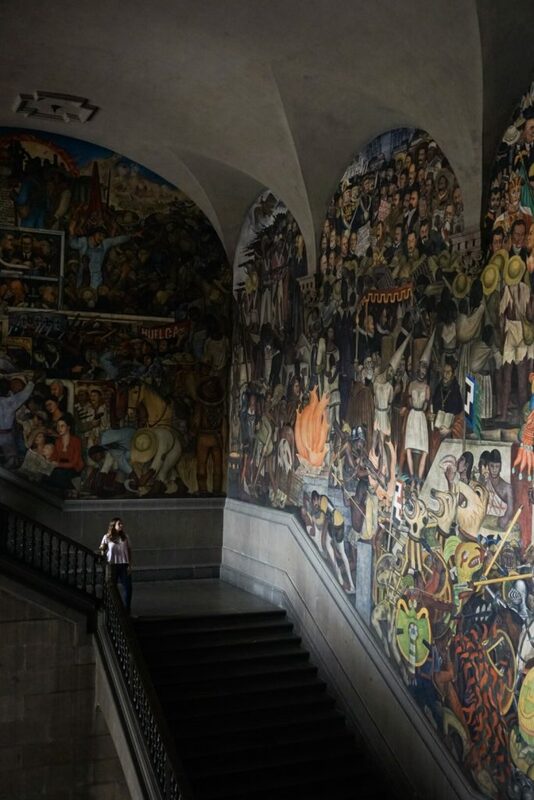 My favorites were the National Palace for the epic Diego Rivera murals and the Museo de Arte Popular for some fun local art. 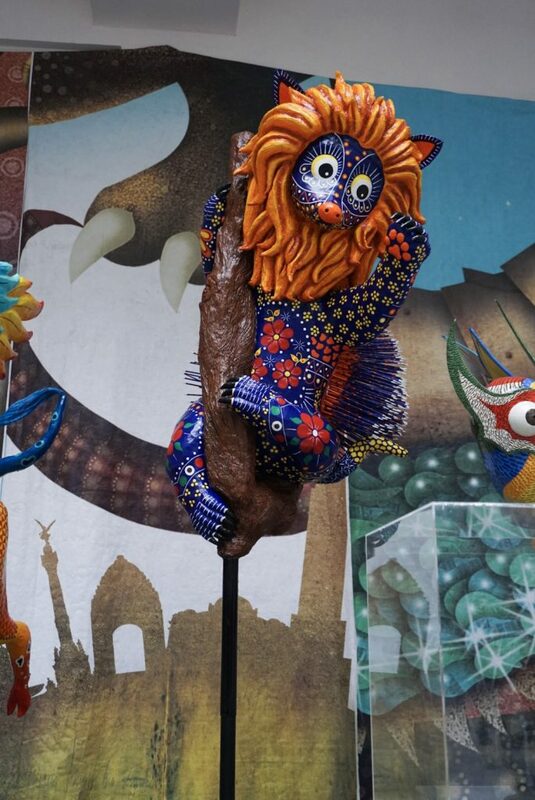 I’d suggest hitting the National Palace first because the line tends to be rather long and then start making your way to the Museo de Arte Popular. 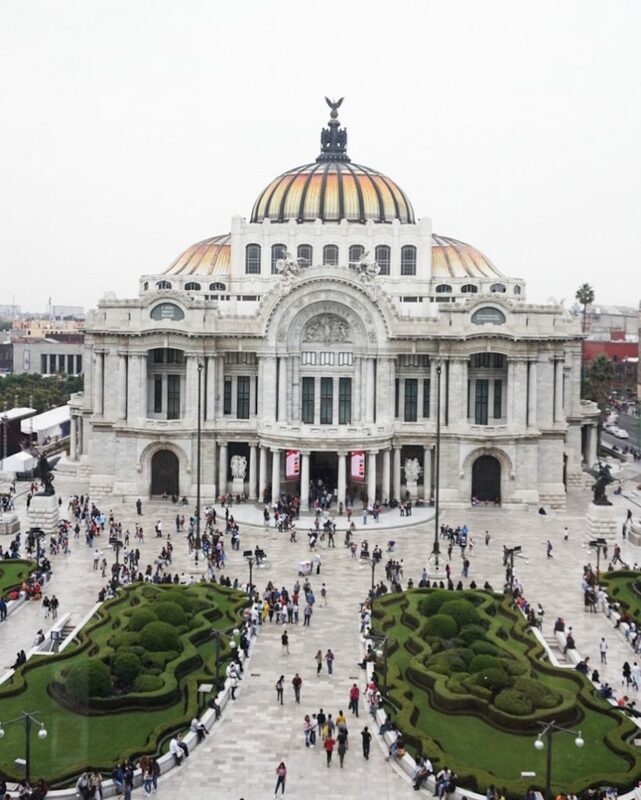 On the way you’ll be passing the incredible Palacio de Bellas Artes. Make sure to pop into the Sears building (yes I mean the department store) and head up to the 5th floor for an incredible view! 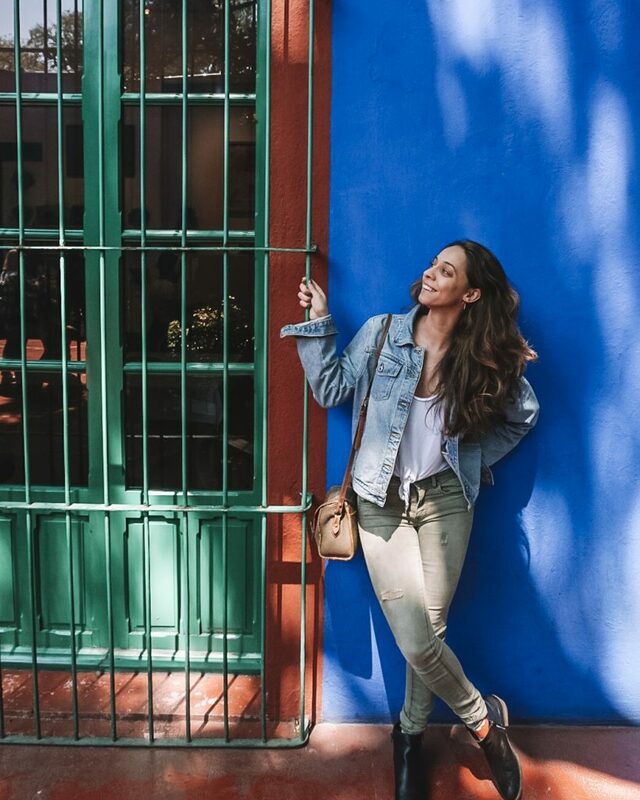 Today is definitely a super packed day but with only three days in Mexico City you’re going to want to fit it all in! 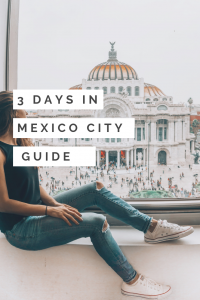 Hope that you find my guide for three days in Mexico City helpful! If you enjoyed what you read sure to Pin it for later! 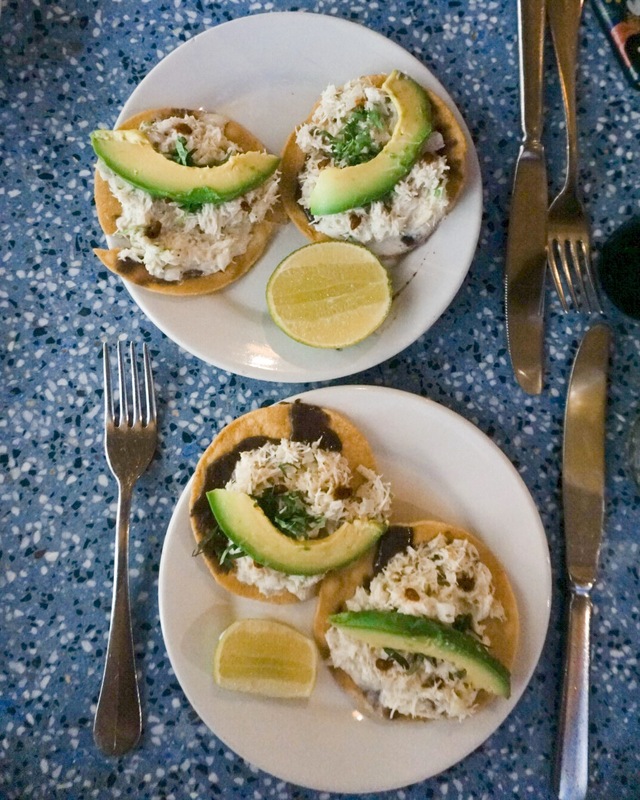 7 places that you need to eat at in Tulum, Mexico!